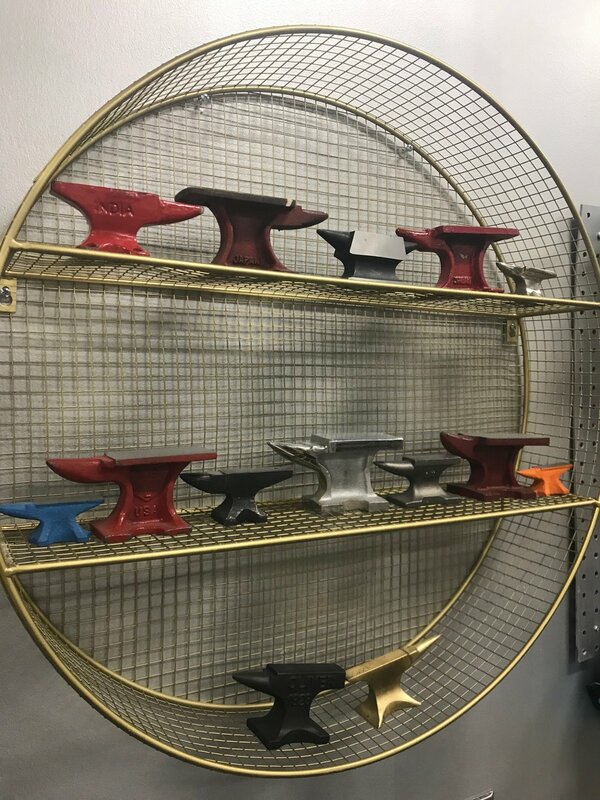 There is so much to do and choose from at The Metal Smithery, so how do you decide where to start? We'll help... First, answer this question: do you want to work on metalsmithing and building skills for a long-term activity/interest? If you answer yes, go to Option 1. If you answered no, answer this questions: I just want to come and make something at a one-time workshop where I don't need any previous knowledge? If you answered yes, go to Option 2. If you answered no, maybe we can talk more about what would work for you - email us at hello@metalsmithery.com or stop by during our open hours and look around, and meet us. Option 1: I wanna be a metalsmith, metal-smith, m.e.t.a.l.s.m.i.t.h. Suggested for all who want to explore the many options and opportunities for metal working and where to go from here, as well as get to know the space and equipment to better understand what is possible. If you plan on taking Soldering and Sawing 101 you do not need to take this class. Suggested for all who wish to build skills, become a member, enroll in the workshops with the prerequisite of this class - such as most of the skill building workshops. It's cool, we get it, no pressure... no strings attached with these events... You will want to go to the workshops and events that don't require prerequisites like the one-time beginners workshops, the drop in events like Lunch Time Hammer Time, and Stamp what you want/Pay what you can. If you decide down the road that you want more, get in touch with us and we'll work with you on what's next! The Metal Smithery is generally open to ages 10 and up. We have workshops for youth on Sundays, over the summer, during school vacation, and after school programs for teens.